You are just a mile from a thriving village offering a country store cafe two pubs and restaurants. Great cycling and walking country with the West Mendip Way and South West Coast Path nearby maybe stop off at one of the country pubs dotted on route. Golf and fishing are available within the village of Bleadon sailing dry slope skiing and other outdoor pursuits are available locally. Only 3.6 miles from the sandy beaches of Weston-Super-Mare and Uphill Sands are even closer. Ideal for exploring Brean Cheddar Gorge Wookey Hole the beautiful Cathedral City of Wells Glastonbury Tor Bath Bristol and Taunton. Upon entering the single story property you are greeted with a light airy space the hallway leads you into the open-plan lounge/kitchen/diner with open beams and high ceilings relax on the comfy sofas while watching your favourite TV programme or open the door to the patio letting the outside in. 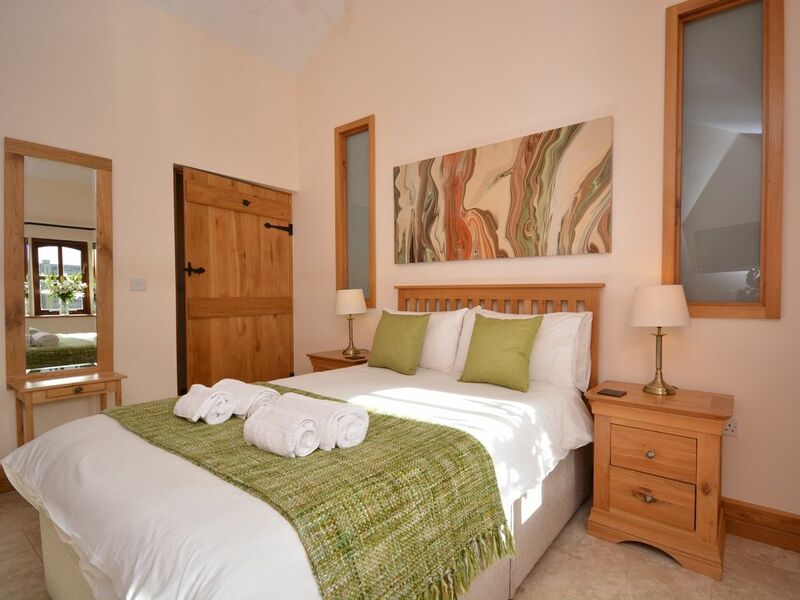 Start your day with a hearty breakfast in the well-equipped kitchen/dining area which has an electric oven and hob microwave and fridge local produce can be bought from the nearby farm shop. The two spacious double bedrooms are located at either end of the property providing privacy both have TV s so you can catch up on the morning s headlines with a cup of tea. The wet room with shower and WC can be found off the hallway in-between both bedrooms. Enjoy a spot of alfresco dining in the enclosed south-facing private patio with seating. Also available is a lovely grassy area with picnic tables by a large duck pond with views across the famous Thatcher cider orchards surrounding Mendip Hills and paddocks where you will see miniature Shetland ponies Hampshire Down sheep and of course the ducks. It is a perfect place to unwind with a morning cup of coffee or evening glass of wine and enjoy this peaceful rural setting. There is enough off-road parking for two cars.